Super Cute Jewellery For Your Beach Honeymoon! Beach honeymoons are THE best! Walking along the beach with his hand in yours, candlelight dinners by the shore and watching the sunset together at one of the shacks - it’s just so romantic. So while we are sure you’re packing the cutest sun dresses, long maxis and pretty sarongs, a few quirky honeymoon jewellery pieces are just what you need to complete the sun-kissed look. Check out our absolute favourites! There will be nights when you’ll feel like dressing up for that romantic dinner. Add an extra charm to your look with a statement neckpiece. 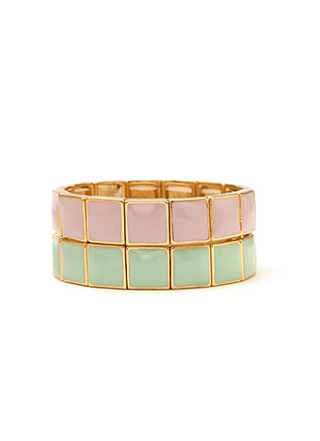 This quirky cool piece will look just perfect paired with a plain dress or maxi in pastel shades. Price: Rs 1,190. Buy it here. A pair of mint and lavender bracelets is the only accessory you should wear with your swimsuit. It adds a whole lot of cute, girly charm to your look without going overboard. And we just love those colours! Price: Rs 609. Buy it here. It’s a must-have! You can pair it with your shorts in the day and maxi dresses in the night. It’s quirky, it’s fun and sure makes your hands look pretty. We bet he’ll compliment you on this one! 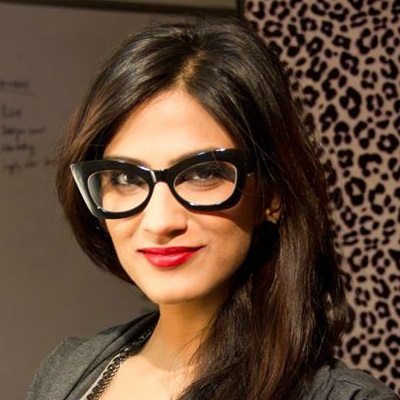 Price: Rs 1,390. Buy it here. How cute are these birdie earrings! Pair them with a cute sundress in the morning or wear it for one of those special evenings that you have planned with him. I am definitely buying these for my next beach holiday! Price: Rs 725. Buy it here. An off-shoulder top or a tube dress looks even better if you have a beaded necklace to go with it. 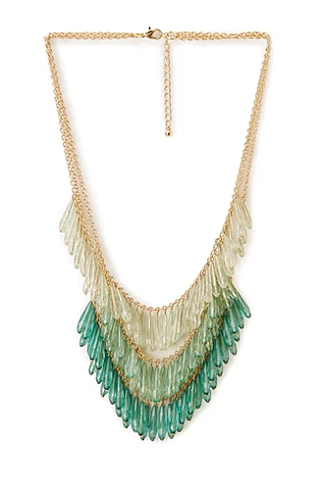 We love the minty ombre effect that’s definitely going to make your neck look pretty! - and make him go wild ;) Price: Rs 609. Buy it here. Wear this with a long white dress and be prepared for all the compliments coming your way! Leave your hair open, put on a striking pink lip colour and dance the night away with your man. 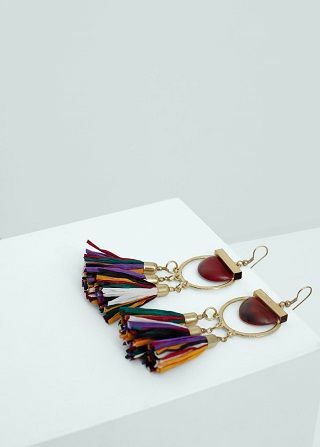 Tassel earrings are the coolest! And these colourful ones by Mango look like they were just made for the beach! I would totally wear these for lazing on the beach bed in my new swimsuit. Price: Rs 990. Buy it here.